42 – How Many 5s Make 21? There are seven houses in my little street. Possibly six. Maybe even eight. It’s a bit hard to tell with Spanish families living next door to each other ….. or just in a different part of the same house. Anyway, I’ve always reckoned there are seven. I think. So it always seemed slightly odd that mine was number 21. It’s not even as though I’m on the corner of the bigger road. I’m half way up one side of a cul-de-sac. Still, the escritura (deeds to the property) and the catastral (similar to the land registry) and the bills from the ayuntamiento (town hall) all say 21 so it must be right. Who am I to argue? Except that nobody else in the street has a high number. In fact, out of the six remaining properties (or thereabouts), three of them are number five. When I was expecting a parcel, I left a note on the front door asking the delivery people to put it in to number 5 (opposite) or number 5 (adjacent)! They actually put it in to number 3 (further up the hill) but never mind. I have tried asking the neighbours about the numbering. They mostly just laugh. They don’t seem bothered, so why should I be? Then I bought a car from a proper car salesroom. No problem, they put down my address as number 21. That’s what’s on my NIE (foreigner’s identification document). 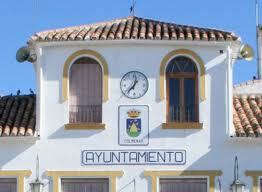 Then they wanted to see my Padrón (registration at the town hall). No problem, I’ve got that, I got it when I moved in, back in July. No, they need one issued within the last three months. Fine, I can get an up-to-date one from the town hall. I took the old one in. Salvi explained that the one I had was the one to confirm my water supply to that address, not the one that confirms that I live there. That should have been issued at the same time by his colleague Antonia, but wasn’t. No problem, the file (amazingly) still had the full set of paperwork that needed to be supplied, so I took it to the next desk and gave it to Antonia. There was a danger of this beginning to become repetitive. I asked her what number she thought I was. She said she’d go and look and make a decision. Next day, Antonia said that I was number 1. She was also going to explain to number 5 next door that they are actually number 3 (good luck with that!). So she then proceeded to issue me with a Padrón certificate at number 1. All other documents relating to my house call it number 21. Fortunately the car salesroom either didn’t notice or didn’t care that my Padrón had a different house number from that which I had given them. I’m hoping that any other Spanish officials that look at my documentation will be so used to mis-matching house numbers that they won’t care either. The postman doesn’t look at the numbers, he knows where everyone lives. 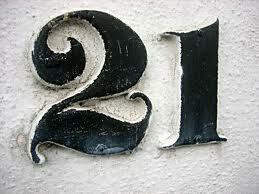 The number 21 over my front door is staying. I might write number 1 on my letter-box though, just for Antonia. This entry was posted in Spain and tagged Andalucia, Axarquía, Colmenar, Padrón, Spain, SpanishBlog, Tamara Essex by tamaraessex. Bookmark the permalink. It’s all very odd. By which I mean, there don’t seem to be any even numbers in your street – or, at least, you haven’t mentioned any. Are you on the north, south, or east side? North, I guess. But yes, we all have odd numbers according to the town hall. According to the catastro, the corner property is Calle Cura 21, so I wonder if that’s where your house number comes from: has the property been subdivided at some stage? 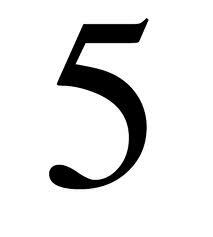 I know this woman in England who lives at a Number 5. There’s a No.7 next door and a No.9 next to that. But there’s no No.3 and no No.1. There doesn’t seem to have ever been a No.1 or a No.3. Small world, eh? My Spanish property is quite clearly Calle Bancal del Trigo 4, but for tax purposes it appears to be CL CEBADA 2 Pl:00 Pt:02 DH-2 (not even the same street). The corner one might be number 21 Steve, though the number displayed on their house is 19 …..
Haha – number 1? Now how could that be when you are not the first (or last) house in the street! I’ve never understood why we need a new Padrón certificate every three months, either – though I guess it keeps someone in a job. You don’t need to go get one every three months Marianne (though it only cost €1.05), as they can issue them on the spot after the first one. You just need it each time some other part of the bureaucracy wants to see an up-to-date one. Yes, that’s what I meant – if one is required. Te acuerdas de mi? Me ha dicho un pajarito de la “U3A” que escribías en un blog y he leído el último. Te entiendo perfectamente…. la burocracia. He reído mucho pero es triste al mismo tiempo. A mí esas cosas me ponen de los nervios. En fin, me alegro de saber de ti y espero leer más aventuras tuyas que parecen interesantes y divertidas. Por cierto aqui te dejo el vínculo de un video que representa la burocracia . Espero que te guste.